Recently Motorola has cooperated with Eric So, a puppet designer in order to make special person puppets, Zhou Xun and Zhou Jielun puppets (Xun and Jielun act as spokesperson of Motorola issues in mainland China). When buying MOTOROKR E6 or MOTOKRZR at the Motorola grand exclusive agencies, you will have opportunity to get these ones. 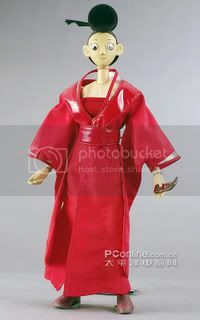 Clothes of the Zhou Xun puppet come from the ancient costume in the movie The Banquet. This puppet has Jue's remarkable features such as thin face and big eyes. 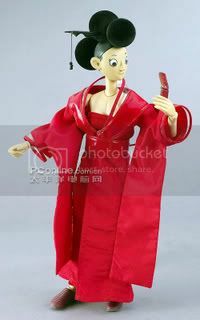 Zhou Jielun puppet has Hip Hop style.